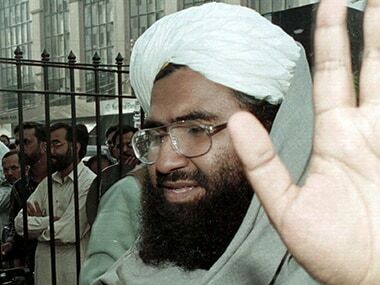 New Delhi: Wrapping up investigations in the Pathankot airbase attack case, the National Investigation Agency (NIA) on Monday filed a chargesheet against Pakistan-based Jaish-e-Mohammed chief Maulana Masood Azhar, his brother and two others for hatching the conspiracy of the January two audacious terror strike that left seven personnel dead and 37 others injured. The chargesheet was filed in the NIA court at Panchkula in which all the four have been slapped with charges under Indian Penal Code, Explosive Substances Act, Arms Act and Unlawful Activities (Prevention) Act. Besides Azhar, his brother Mufti Abdul Rauf Asghar and two handlers — Shahid Latif and Kashif Jan — have been named in the exhaustive charge sheet. While Interpol Red Corner Notice against three has been issued, the same was pending against Jan, the NIA said. 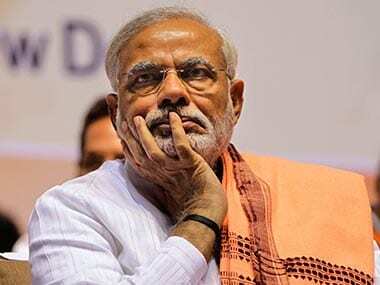 The chargesheet will also put to rest speculation about the number of terrorists involved in the attack as the agency gave details of only four militants. There was confusion about the number of terrorists as Defence Minister Manohar Parikar and Home Minister Rajnath Singh had informed that the number was six. 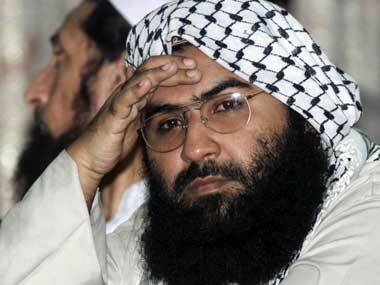 The charge sheet also hinted of lax security at the strategic IAF base in Pathankot and said that the four terrorists -- Nasir Hussain, Hafiz Abu Bakar, Umar Farooq and Abdul Qayoom — who were Pakistani nationals belonging to Jaish, had entered the premises at 0840 hours of January one and entrenched themselves in a drain and adjacent shed belonging to Military Engineering Services. 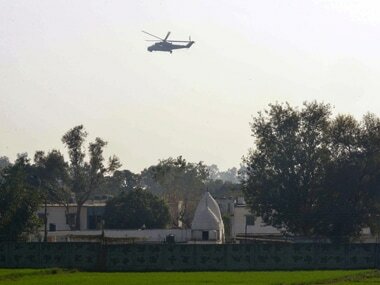 The terrorists were engaged in a gunfight only at 0320 hours of January two, 19 hours after they had entered the IAF base. The charge sheet is likely to be used by India in advocating its case for imposing sanctions against Azhar, released in 1999 in exchange of IC-814 hijacked Indian Airlines Plane, under the United Nations anti-terror law, officials said. The terror case saw an unusual move from India and Pakistan as Islamabad had sent its probe team to Pathankot. They were handed over all the documents and allowed to question everyone except security personnel involved in foiling the attempts of the terrorists. 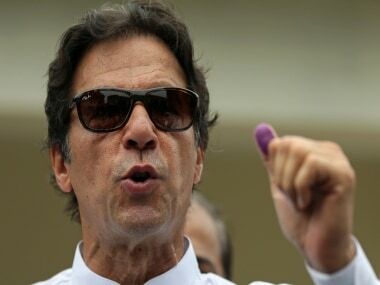 However, the Pakistani team, upon their return, claimed that India neither shared much of evidence nor allowed it to interrogate the security personnel involved in dealing with the attack. Giving details about the infiltration and activities of the four terrorists, the NIA said in its charge sheet that all the four terrorists underwent extensive motivational, physical, military and tactical training and were radicalized to carry out terror strikes in India. 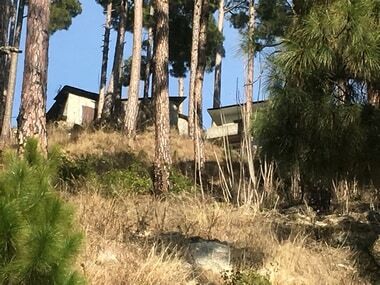 The four terrorists armed with ammunition and other logistical items illegally crossed the Indo-Pak international border through the forest area near the Simbal Border Outpost on 30 December. Empty food packets manufactured in Pakistan and other food articles from the neighbouring country were recovered from the forest area near the Simbal Border Outpost, during investigation. After infiltrating into the Indian side, these terrorists reached the road from Bhagwal village to Janial. On 31 December, at around 2130 hours, they hijacked a taxi bearing registration number PB06-G-0061, along with the driver, Ikagar Singh, who was going from village Bhagwal to Janial. The terrorists snatched the mobile phone of Ikagar Singh and used the same to communicate with their handler, Kashif Jan and senior leaders and operatives of the Jaish-e-Mohammad in Pakistan, on three Pakistan mobile numbers 923453030479, 923213132786 and 923017775253. Their vehicle met with an accident at the Dhusi turn near the Ravi River Bridge after which the terrorists brutally killed Ikagar Singh and dumped his dead body in the nearby bushes. Thereafter, the terrorists drove the damaged vehicle and abandoned it at a service station at Kolian Morh in Pathankot. During investigation, the DNA profiles recovered from the dagger, seized from the possession of one of the dead terrorists (Nisar), matched with that of Ikagar Singh, thereby conclusively establishing that he had killed Ikagar Singh. Similarly, DNA profile of two terrorists was found on an energy drink can, recovered from the vehicle of Ikagar Singh. After abandoning the damaged vehicle of Ikagar Singh at Kolian Morh, the terrorists hid in the nearby sugarcane fields and waited for a vehicle to come. They hijacked a Mahindra XUV bearing registration number PB02-BW-0313 of Salvinder Singh, Superintendent of Punjab Police, and moved towards the Air Force Station, Pathankot after taking control of the vehicle. They snatched the mobile phones of the victims and used them to communicate with their handler, Kashif Jan and senior leaders and operatives of the JeM in Pakistan on the four Pakistan numbers — 923453030479, 923466746667, 923000957212 and 923024880619. After some time, the terrorists tied, blindfolded and dumped Salvinder Singh and his cook Madan Gopal at an abandoned place in a forest area near village Gulpur Simli on way to the Air Force Station, Pathankot. However, they took the third occupant, Rajesh Verma, a jeweller, along with them. Singh and his cook managed to untie themselves and rushed to the nearby Gulpur Simli village on foot for help, the charge sheet said, adding the terrorists, on learning later from Verma that Singh was a police officer, informed their handler who directed them to go back and look for him. Since the duo had already left the spot, the terrorists resumed their journey to the Air Force Station. At around 0400 hrs on January one, the terrorists reached village Akalgarh near the Air Force Station in Pathankot and tied Rajesh Verma. They slit his throat with an intention to kill him and abandoned him and the vehicle in the sugarcane fields at around 0400 hrs. Thereafter, they moved towards the IAF Station on foot. Meanwhile, Rajesh Verma managed to untie himself and rushed to the Akalgarh village for help, the NIA said, adding as per the forensic report collected during investigation, the DNA profile of the genetic material lifted from the energy drink can, recovered from the Mahindra XUV vehicle, matched with that of a deceased terrorist. The DNA profile of the genetic material lifted from the dagger recovered from the possession of another terrorist matched with that of the victims Verma and Ikagar Singh. Similarly, the profile of the trace DNA lifted from the handle of the dagger, matched with that of another terrorist. The seat belt of the Mahindra XUV was cut and used to tie one of the victims. As per the forensic report, the seat belt pieces recovered from the forest area, where the terrorists had dumped Singh and his cook, matched with the remaining seat belt pieces of the Mahindra XUV vehicle. One walkie-talkie set belonging to the terrorists and one slip written in English were recovered from the Mahindra vehicle. The terrorists had left the slip in which it was written, "Jaish E Muhamad Zindabad Tanghdar se le kar Samba Kathua Rajbagh Aur Delhi tak Afzal Guru Shadeed Kay Jan nisar Tum ko meltay rahege. Insha Allah. A.G.S. 25-12-15". The iPhone of Rajesh Verma, which was snatched by the terrorists, was recovered from the 'nallah' near the perimeter wall inside the IAF station where the terrorists had hidden before carrying out the attack. Investigation showed that after abandoning the Mahindra XUV vehicle, the terrorists moved to the western side of the IAF station on foot and forced their entry after cutting the wire fencing over the western side of the perimeter wall before getting inside the airbase in the wee hours of January one. As per the forensic analysis report, the marks of the cutting tool recovered from the terrorists, matched with the marks on the cut portion of the fencing wire. Also the climbing rope used by them and recovered from the perimeter wall matched with the rope recovered from the Mahindra XUV vehicle. A glove and a woollen cap, similar to those recovered from the terrorists, were recovered entangled with the wire fencing over the perimeter wall. Further there were marks of climbing over the eucalyptus tree, just outside the perimeter wall panel and also on the other side of the perimeter wall. After getting inside the IAF Station, the terrorists hid themselves inside the 'nallah' and the dilapidated MES Store sheds till the time they launched the assault. As per the forensic report, the shoe imprints lifted from the 'nallah' matched with the shoes of a terrorist. One of the four terrorists identified as Nasir made attempts to call a Pakistan telephone number 923466746667, belonging to one Khayam Bhatti who runs a merchandise shop in Sailkot, using the snatched Indian mobile number but could not converse. He again made a call to a different Pakistani number 923000957212 and during this conversation, he disclosed the names of his other three associates as Major, Abu Bakar and Umar. During the day, as they were hiding, he again called and expressed his desire to the person on the other side to talk to a woman whom he addressed as his mother and the call lasted for 18 minutes. Nasir told the woman that they had infiltrated into the Indian territory at 'do baje (0200 hours)' on Wednesday (which was 30 December) and also told her that he had killed two persons referring to Ikagar Singh and the injured victim Rajesh Verma, whose throat was slit by the terrorist but he happened to survive. He also spoke to his brother and cousin, who is referred to by the name Babar, and to another person whom he called Munna. While speaking to the woman addressed as his mother, Nasir asked her to record his conversation on the mobile set. During his conversation with her, Nasir mentioned about one "Ustad" who was supposed to come to her with his "Wasihat" (will) after his death. He also disclosed that they were hiding inside the IAF station (referred to as Camp in conversation) and waiting to carry out the terror attack. The terrorists launched the attack early in the morning on 2 January and the gunfight between the Garud commandos and the terrorists started in the MES yard at about 0320 hrs. The terrorists fired and lobbed grenades indiscriminately towards the Garud Commandos, while moving out of the yard, the NIA said, adding during the gunfight one Garud Commando was killed and two others were injured. The terrorists also specifically targeted fuel tanks of the vehicles parked in the section setting them on fire, causing severe damage to the vehicles and the buildings, so as to cause panic. Thereafter they crossed the billets near the Peer Baba Mazar and kept on firing indiscriminately injuring one personnel, on the first floor verandah of the billet. They then entered the mess area where they killed Hon Capt Fateh Singh and later two more IAF personnel, the NIA said, adding one of the terrorists was killed in the retaliatory fire by then. The remaining terrorists hid in the thick dry vegetation near the DSC lawns and the NSG and Army units then cordoned off this area and, subsequently, neutralized these three terrorists on January two. During the operation, seven persons were martyred and 37 persons were injured inside the IAF Station. NIA investigators collected sufficient evidence in terms of statements of the witnesses to establish that the terrorists had been trained, motivated and radicalised by Maulana Masood Azhar and Mufti Abdul Rauf. It has also been established through legal intercepts and statements of witnesses, that Kashif Jan and Shahid Latif had guided, equipped and launched the four terrorists, who carried out the terrorist attack at the IAF Station. The recoveries from the scene of crime, material and documentary evidence, forensic reports and extensive call data analysis, conclusively establish the complicity of the terrorists of JeM, in the attack at the Airbase, the agency said.